The St. Patrick’s Day 4 miler at Kinsale by M3S sports is the most fun you’ll ever have at a race. This running and walking event is basically a slightly veiled St. Paddy’s Day party. After the race, stick around to enjoy the party with live band, SWAGG. 2. 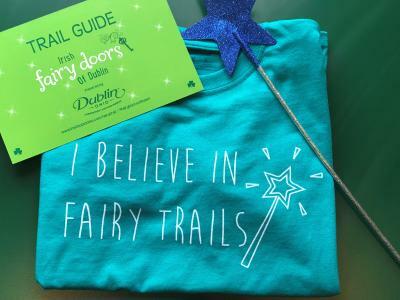 Take your clan down Dublin’s Irish Fairy Door Trail. Never done the fairy trail? Here’s the scoop. 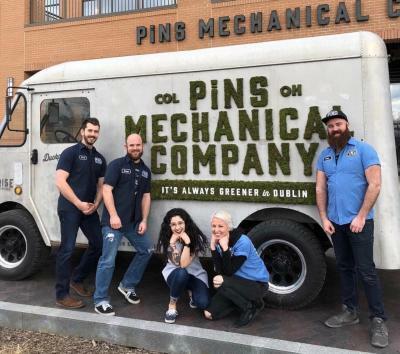 Visit 7 of our Downtown Dublin businesses, find the tiny magical fairy door and the name of the resident fairy. Fill out your passport and return it to the Dublin Visitor & Information Center (9 South High Street). Already done the trail? 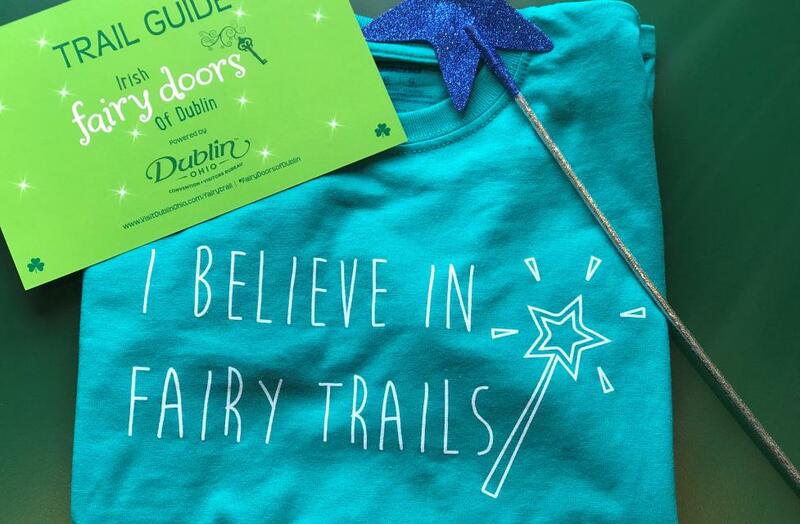 The trail has been revamped for this St. Patrick’s Day with new doors and all new fairy names! Bring your clan to embark on this magical and FREE journey to earn this year’s brand new shirt. To get started, pick up your passport at the Dublin Visitor & Information Center. 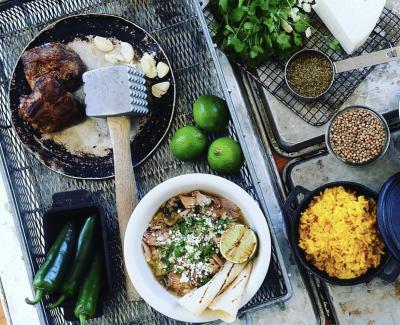 Stop by 101 Beer Kitchen to enjoy their delicious array of hand-crafted, seasonal menu items. Plus, they will be offering drink specials on their Innis & Gunn Kindred Spirits BA stout as well as Craigies Irish Cider. Their chef will be crafting a chef’s special for the occasion that is sure to be a can’t miss dish. 4. Get started on Dublin’s Celtic Cocktail Trail. Dublin’s Celtic Cocktail Trail highlights 11 of Dublin’s best dining experiences and craft cocktails. 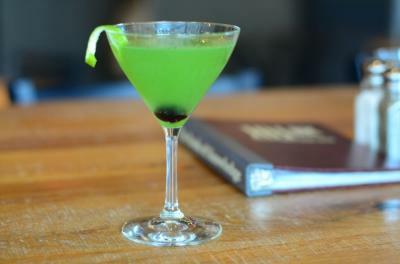 Enjoy an Irish-inspired cocktail at each location to earn a stamp and complete your passport. Complete 5 stops and redeem a commemorative koozie and all 11 to redeem an exclusive Celtic Cocktail Trail t-shirt. 5. Get your Irish food and drink on at one of Dublin’s Irish pubs. 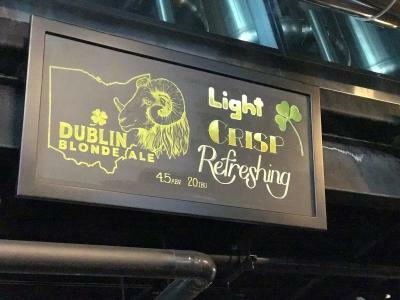 Dublin Village Tavern is one of the stops, offering the Celtic Cosmo. 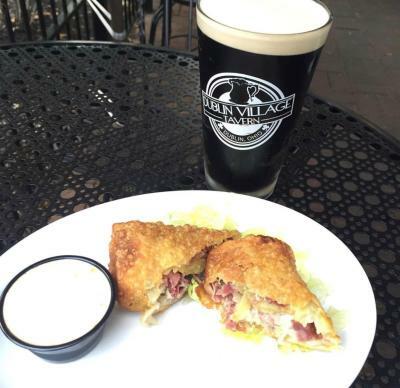 This Dublin favorite offers the best in what we like to call, Irish Comfort Foods – we recommend trying classics like their fish & chips and branching out to their Irish Egg Rolls. Next stop, Brazenhead! Inspired by Dublin, Ireland’s oldest pub, Brazenhead was custom-designed and installed by a group of Ireland’s finest carpenters. In fact, much of the décor was imported directly from Ireland. Stop by for a St. Paddy’s Day party with a pub style menu, an extensive list of Irish Whiskey and Irish import beers. This bash is tented - for rain or shine! 6. 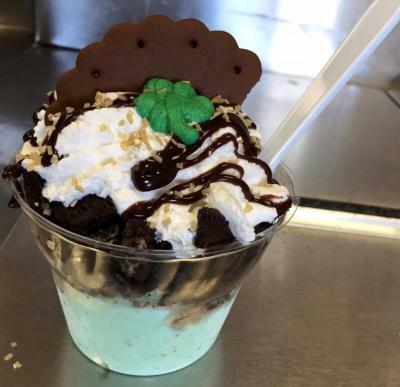 Enjoy a St. Patrick’s Day Celebration at RAM Brewery. Enjoy an all day celebration of everything Irish featuring a special menu for the occasion! RAM will also be offering featured beers and a performance by the Columbus Celtic Dancers at 6:30PM. Check out their special menu here. Celebrate St. Patrick’s Day with 10,000 of your friends at the largest St. Patrick’s Day party in Ohio. With two stages of entertainment on all day, there is plenty of fun to be had at Flannagan’s! Want to get a bit of exercise in before the party? Check out the details for Flannagan’s St. Patrick’s Day 5K. Don’t miss Aladdin Shrine Pipes and Drums Band at 2:30PM at PINS Mechanical! Enjoy a game of duck bowling, pinball, giant jenga or ping pong and explore their extensive menu or craft beers and cocktails. Don’t forget! PINS is a stop on the Celtic Cocktail Trail. Grab your passport ahead of time and earn your stamp for this location. 9. ShamROCK all year long. 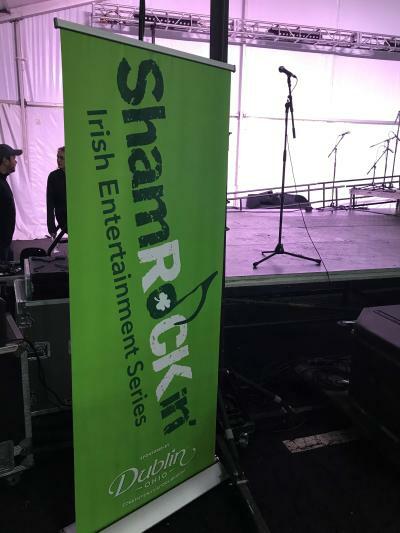 New this year, the Dublin Convention & Visitors Bureau has launched the ShamROCKin’ Irish Entertainment Series to offer Irish entertainment in our city all year-round. Hosted at 8 Dublin businesses and attractions, this entertainment series has something everyone can enjoy and gives you a reason to explore everything Dublin has to offer. Check out the full calendar here. 10. Explored Dublin’s Irish approved businesses. Explore one of Dublin’s 24 Irish approved businesses – each with their own Irish-inspired offering. 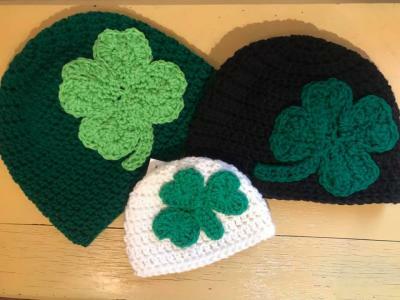 From sweet treats to stylish shamrock accessories, there is always something Irish to be found here in Dublin. Check out a full list of Irish approved businesses here. And as always, check out these 4 ways to keep it Celtic all year long.